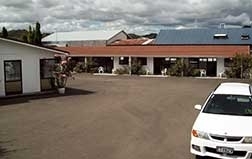 Accommodation at Taihape Motels offers you a variety of 21 units at various rates, including luxury, and 1 and 2-bedroom family units set amongst 113 roses and hydrangeas. Only motel off main highway. Enquire or book direct with us on 0800 20 00 29 or email bookings@taihapemotels.co.nz and save extra charges.